the wonders of embossing powders... especially the metallic ones in gold, silver and copper! I die-cut the bird-cage on two pieces of card stock to give it added thickness. The die-cut was then sponged over with VersaMark, sprinkled with silver and gold embossing powders and heat-embossed. This process was repeated once again for a more pronounced metallic finish. Similar process used for the 'wishing you the best' sentiment which was popped up using mounting tape. 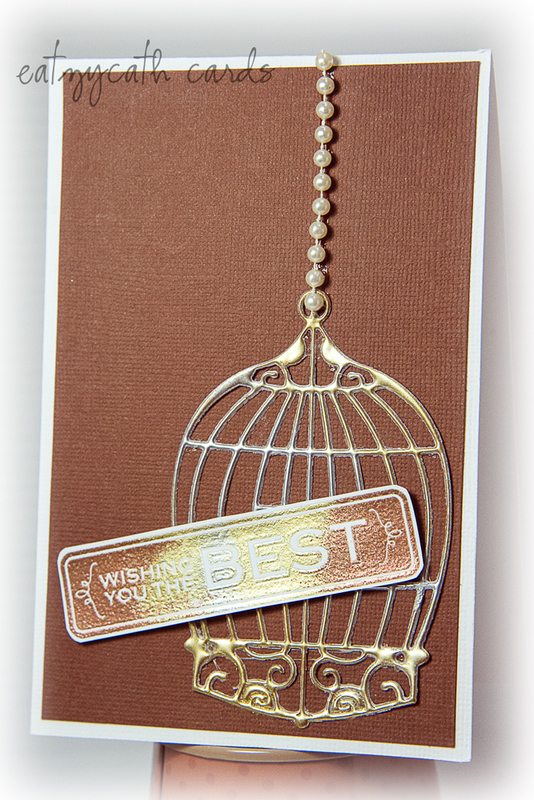 Card was finished off with a string of pearls attached to the top of the bird cage. Such a cool idea, really, love this !! 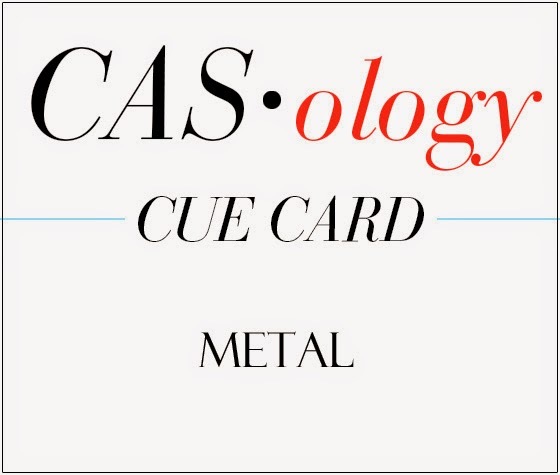 Thanks for joining us at CASology!! I sure hope you are inspired to join us again this week, we have another FUN cure for you!! !